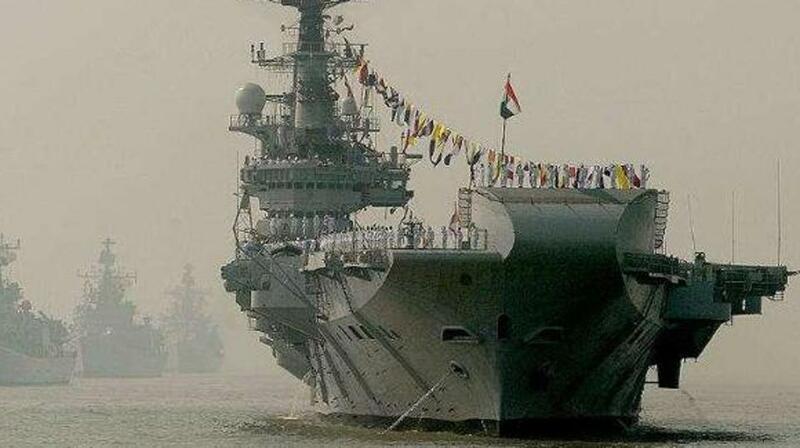 Indian Navy's aircraft carrier INS Viraat will be decommissioned from service on March 6. Viraat is the oldest surviving aircraft carrier in the world, and holds a Guinness world record for the same. INS Viraat was first commissioned in the Indian Navy on May 12, 1987, and had previously served the United Kingdom Royal Navy for 27 years. The Supreme Court today ordered the state governments and local bodies to stop electricity supply to polluting industries that fail to set up an effluent treatment plant. The court gave authorities six months to set up effluent plants for industrial areas. The state pollution control boards should inspect the status of the plants after three months, it added. The government has launched free anti-virus softwares for smartphones and personal computers named 'Mkavach' and 'Samvid' respectively. Another software named 'USBPratirodh' has been launched to control the unauthorised usage of removable USB storage devices. The launches are a part of government's new 'Cyber Swachhta Kendra' project where it will spend ₹90 crore over five years on cyber security. The 1st heliport in India was inaugurated by Civil Aviation Minister Ashok Gajapathi Raju in North Delhi. The heliport, built by state-owned Pawan Hans, consists of a terminal building, nine parking bays and four hangars with a parking capacity of 16 helicopters. It was built at an investment of ₹100 crore. The Jammu and Kashmir government has put a cap on the number of guests for a daughter's wedding at 500, and for a son's wedding at 400 starting April 1. The number of guests has been restricted to 100 for smaller functions like engagements. The state government has also banned sending sweets or dry fruits with wedding invitation cards. Punjab Government has banned the manufacture, storage, sale or distribution of gutkha, pan masala, processed/flavoured/scented chewing tobacco and any other food products containing tobacco or nicotine as ingredients for a period of one year. The Employees' Provident Fund Organisation (EPFO) has introduced a Common Form to let people make different types of money withdrawals from their PF account. Fund subscribers will no longer require filing documents like marriage invitation cards for taking advances. The forms, besides the ones for advances and withdrawals, have been replaced with a single page Composite Claim Form (Aadhaar). The government today approved a 900 MW hydropower project worth ₹5,723.72 crore to be set up in Nepal's Sankhuwasabha district. An MoU for the project, to be implemented within five years, was signed in 2008. It would be implemented by a subsidiary of the state-owned SJVN, which is a joint venture between the Centre and the Himachal Pradesh government. PM Narendra Modi has become the most followed world leader on Facebook, with nearly 40 million followers, according to PR firm Burson-Marsteller which studied world's 169 governments. Irom Sharmila-led PRJA party has fielded the first-ever Muslim woman candidate for Manipur, Najima Bibi, in the forthcoming Assembly elections. She is an active advocator for women's rights. Vitaly Churkin, who had served as Russia's permanent representative to the United Nations since 2006 died of heart attack. He had earlier served as the ambassador to Belgium, Canada and Liaison Ambassador to NATO and Western European Union. Bengali was announced as an official language in the west African nation of Sierra Leone to recognise the contributions of the Bangladeshi peacekeeping forces in the country's civil war. Bangladeshi forces, which constituted the largest part of the UN Mission, played an important part in fighting the rebels during the civil war, which lasted from 1991 to 2002. Scientists are embarking on an expedition to the Arctic to better understand climate change. The MOSAiC mission starting in 2019, would be the first in over a century after Norwegian explorer Fridtjof Nansen crossed the polar ice cap in 1894. During the year-long 2500-km trip, scientists would locally study the atmosphere, ice, and ocean via drones, remote stations, and satellites. Shurhozelie Liezietsu was today sworn in as the new Chief Minister of Nagaland by Governor PB Acharya. The 81-year-old scholar had begun his political career as a member of Nagaland Legislative Assembly in 1969 from northern Angami-I under Kohima district. He has served the office eight times, holding different portfolios, including education and planning. Azerbaijan's President Ilham Aliyev today appointed his wife Mehriban Aliyev as the First Vice President of the country. The position was created after a constitutional referendum in September last year. According to Azerbaijan's constitution, the First Vice President takes over the country's presidency if the president is unable to perform the duties. Virat Kohli and Alia Bhatt will participate in Centre's gender equality campaign, 'WeAreEqual' on International Women's Day (8th March). The campaign will help highlight the need for an equal opportunity for women in the field of education, health, safety and dignity.